Scientists recently used the gene editing technique known as Crispr to implant DNA encoded with an animated image of a galloping horse into live bacteria. The experiment — detailed in today’s issue of Nature — attempts to show the capabilities of genes as storage vehicles. We’ve known for quite some time that genes were capable of massive amounts of storage. Scientists have already tapped them to store the nearly 600,000 word novel ‘War and Peace,’ as well as all of the plant material archived at the Svalbard Seed Vault. And just for shits and giggles, they recently embedded an entire OK Go music video in live strands of DNA. So, the potential to use genes as living storage warehouses is well-understood at this point. What’s interesting, however, is the use of Crispr as a tool to safely implant the material. Crispr, in case you’ve been living under a rock, is the next big thing in science — a method of cutting existing DNA and implanting new genetic material to mend the gap it created. Its use cases are broad, but once perfected, Crispr could one day eradicate diseases like cancer by removing genetic mutations known to cause it, and adding healthy material in its place. The GIF experiment, while gimmicky, showcases futuristic gene editing techniques that could one day be responsible for everything from eradicating disease to large scale data storage that relies on human cells rather than servers. And in this test, scientists were not only able to implant the data, but reconstruct it later at 90-percent of its original quality. 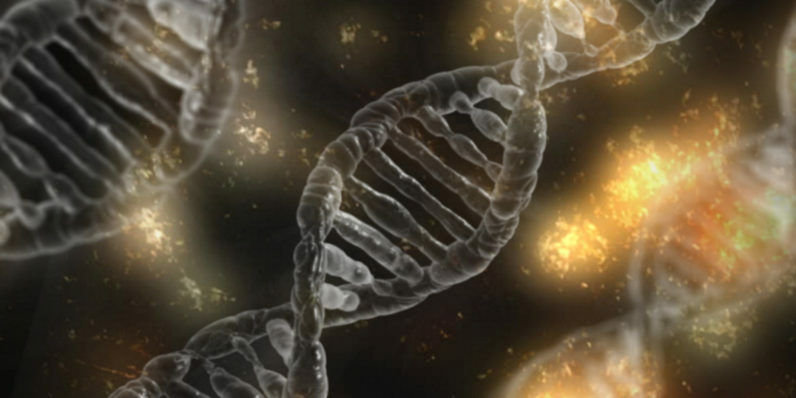 DNA encoded with GIFs might not be the future you dreamed of, but it’s the future we have.